First coffees in the blog era! 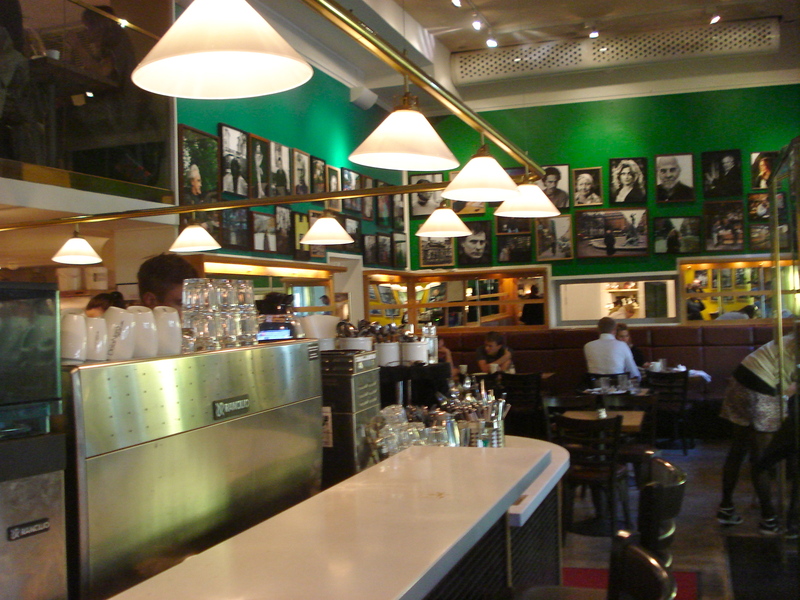 For my first coffee in the blog era, I decided to go back to the scene of the crime, i.e. where I had too many drinks the night before. Well, right next to it. Rival is a little bit of everything: hotel, bar, bakery and coffee shop. From what I have seen in the month since I moved to Stockholm, this feels typical Södermalm. I have the feeling that I will be here often when I finally move to my apartment a few blocks away from here. 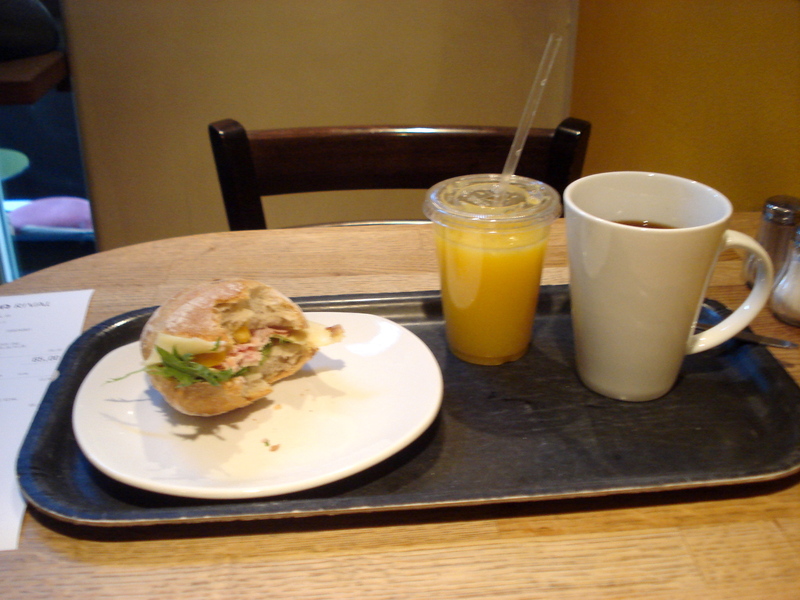 This is a typical Swedish breakfast – at least in coffee shops: coffee, juice and a sandwich. Apparently one can find eggs here but I haven’t been to THAT place yet. 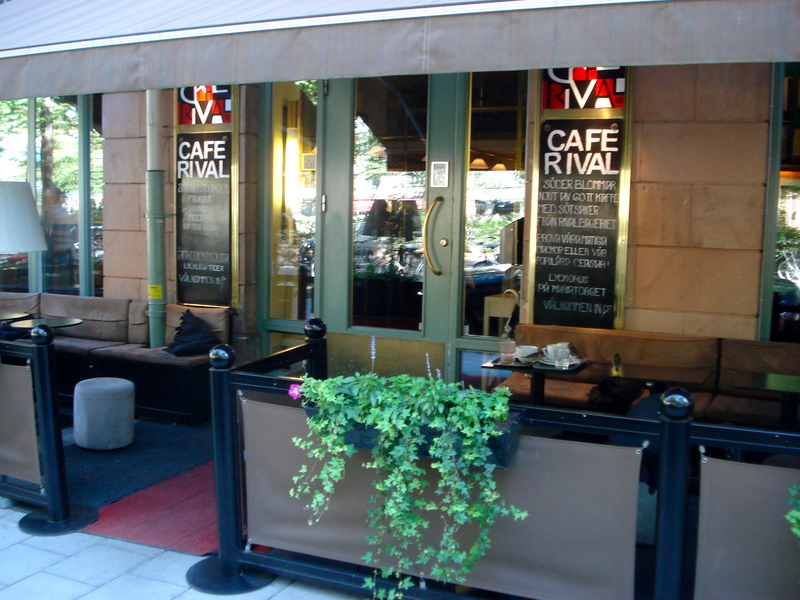 Rival also has a beautiful patio… despite the sun today it was a bit chilly this morning. This entry was posted in Breakfast, Coffee and tagged Breakfast, Coffee. Bookmark the permalink.